Tiki-Toki is a powerful web tool that allows you to create visually appealing and interactive multimedia timelines. This app is web-based and does not require any software installation. TikiToki timelines can include a wide variety of materials such as images, text, and videos (from YouTube and Vimeo or AVIS). 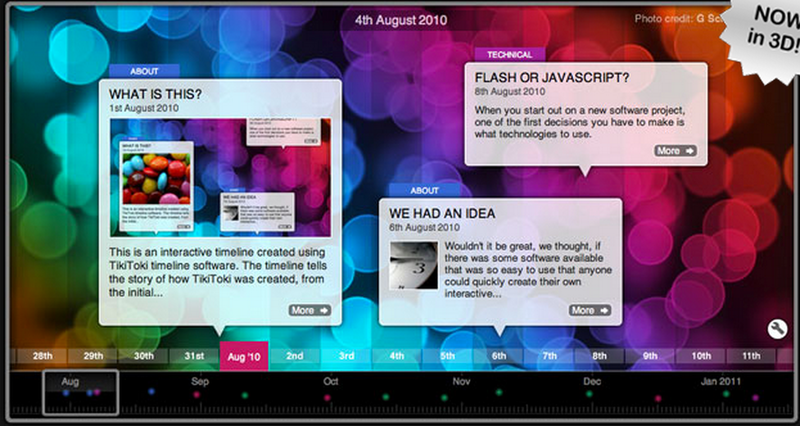 What's more, TikiToki now supports 3D timelines which means that you can both create and view timelines in 3D. To activate the 3d view for your timeline, open the timeline for editing. Then choose the 'Settings' tab in the admin panel, and click on the '3d settings' button at the top centre. This will open a new pop-up with all the options available for customising the 3d view. 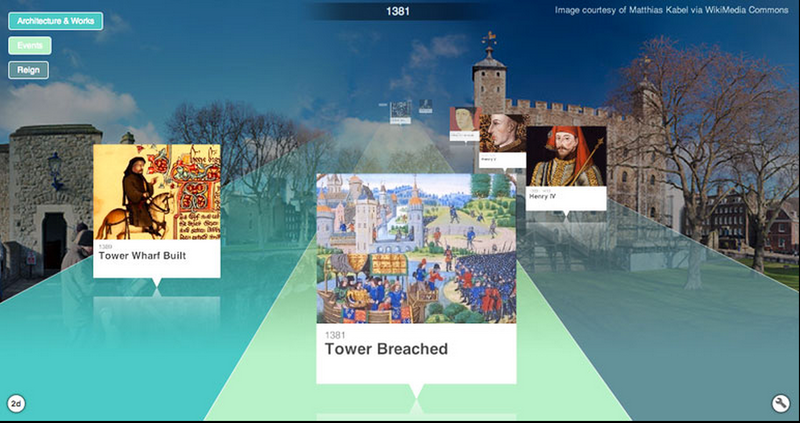 Here is an example of a 3D timeline. As a teacher you can use TikiToki for a variety of purposes. You can use it to illustrate historical events or figures or to chronicle the works of a famous author. You can also use it to help students craft a personal narrative or to sketch out character development in a literary work...etc. The great thing about TikiToki's timelines is the multiplicity of options it offers to its users. For instance, students can create a timeline around a historical figure and record their own voice to accompany it. They can also illustrate their points with videos from YouTube or Vimeo. The end creation can be easily shared with others or embedded in classroom website or blog ( embedding feature is only available for premium users). The free account of TikiToki is limited for it allows you to create only one timeline. However there is a Teacher account (it is not free) which offers more features including : creating several timelines, embedding of timelines, and group editing.